A1 Overseas International ships to Zimbabwe! Call 1-800-450-5319 or fill out our form for a FREE quote! When it comes to hiring an international auto transport professional, A1 Overseas International has proven on countless different occasions that they have what it takes to get the job done. Consider A1 Overseas International if you have plans on traveling to Zimbabwe and need your vehicle shipped as well. 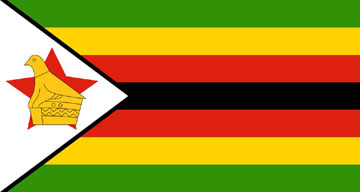 Being that Zimbabwe is a landlocked country; you will want to make sure that you arrange a ride to the destination port. To get your vehicle released from customs, you will need to present a few important documents. Make sure to bring your passport, title, vehicle registration, proof on insurance, and driver's license. You will need to have other important documents at the ready as well or getting your vehicle released will be very difficult. To find out more about what you will need to have prepared for customs in Zimbabwe, make sure to contact A1 Overseas International. Roll on Roll off- The Roll on Roll off option is the least expensive way to get your vehicle imported overseas. You will need to remove any personal possessions and ensure that your car is operable so that it can be driven on and off of the ship. Container Shipping- This is a popular way to transport a vehicle because it will protect your vehicle against the elements. Unlike the Roll on Roll off method, container shipping allows you to transport personal possessions inside of the vehicle and in the extra space inside of the container as well. Air Shipping- This is the most expensive way to get a vehicle transported overseas, but not many chose this option. When it comes to transporting a vehicle in a landlocked country as Zimbabwe, this might be an option to consider if you do not want to arrange for transportation to the destination port. Call 1-800-450-5319 or fill out the form today for more information on import/exportand a FREE price quote on boat, motorcycle and car shipping!